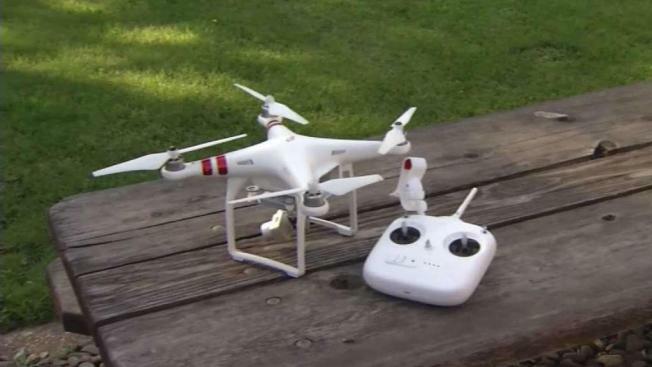 The owner of a drone may face charges after the device forced a helicopter to be grounded Monday during a firefight in Saratoga. Investigators say they tracked the small hobbyist drone that caused the problem from the fire area back to its owner and confiscated it. A Cal Fire helicopter that had been helping battle a 10-acre fire in the Saratoga hills had to be turned away from dropping water on the flames for fear it would collide with the drone. Flying a drone in a fire zone is a misdemeanor in California. "So to keep our citizens safe, to keep our firefighters safe, to let us do our professional job, you've got to stay out of the area," said Ryan Cronin of the Santa Clara County Fire Department. The fire is 75 percent contained, Cal Fire said. Firefighters remained at the scene overnight Wednesday continuing to put out hot spots.